BYU-Idaho students are getting to know the elderly of the Rexburg area every Saturday with the Adopt a Grandparent program. To provide conversation and learn from older people’s wisdom, students visit a rest home in Rexburg, Rigby or Idaho Falls. The Student Activities Center coordinates the trip every Saturday, and it is led mostly by student volunteers. Shawn Allen, a junior studying chemistry, got involved with the program this semester. Students volunteering to serve meet every Saturday at 10 a.m. at the Manwaring Center roundabout, where 12-passenger vans take students to various rest homes for one hour. 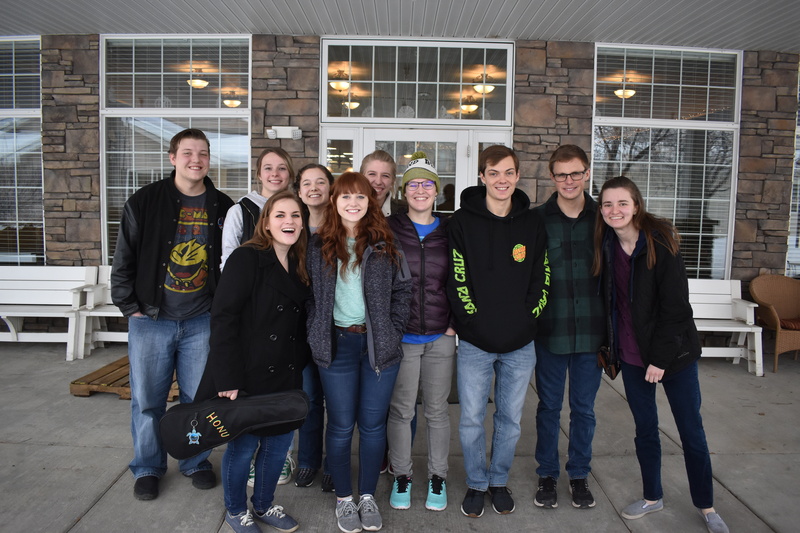 Each weekend, students take ukuleles, games and nail polish with them, and they spread out into the common areas and individual rooms to meet the people in the home. One resident, Cleo, brings out folding lawn chairs and tells the volunteers about his wife, his children and what his days look like. 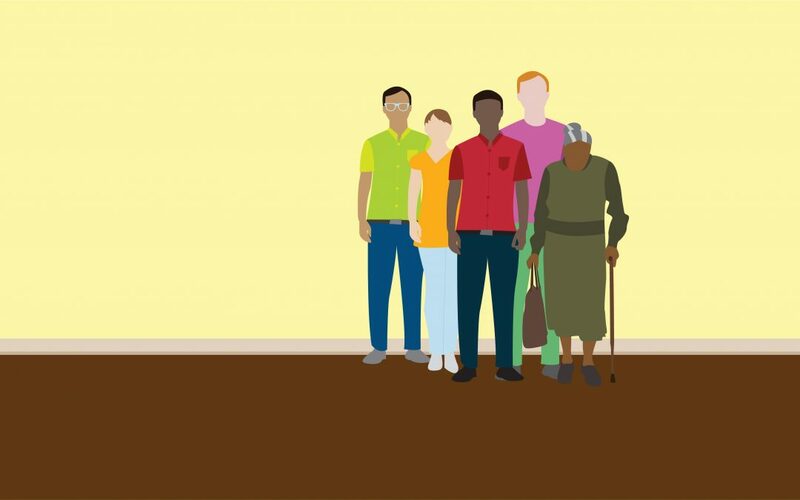 Adopt a Grandparent’s goal is to encourage personal and reoccurring visits for the elderly people they visit. 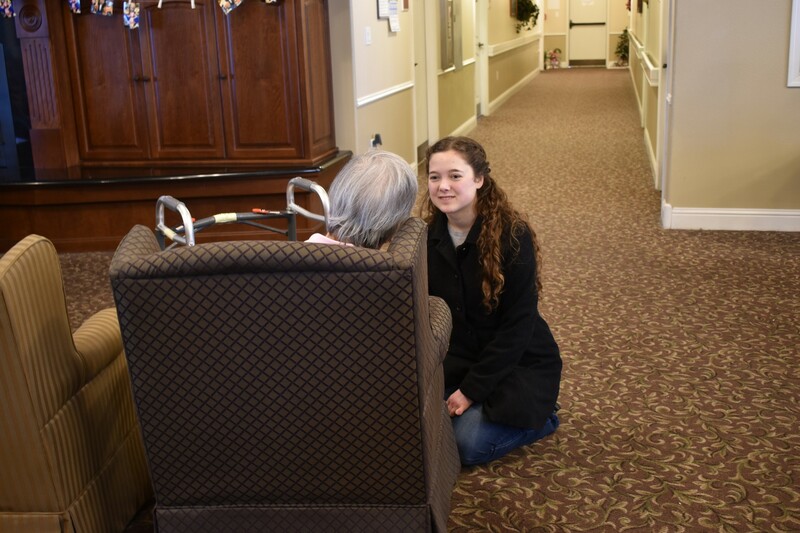 Students sat in the main room of the home and sang hymns with the residents on Saturday. One resident, Marva, led the group by waving her hand and took requests from students and residents alike. “Oh, I love this song and the size of our group,” Marva said as she stood up with her walker at the end of the meeting. Students are encouraged to bring their activities and talents for the residents. Those extraordinary possibilities can be found in both the students and the elderly people involved in the Adopt a Grandparent program.